This customizable party invitation template is great to make stunning party invitations. Its ticker-tape, banner and balloon images make the template full of joys. 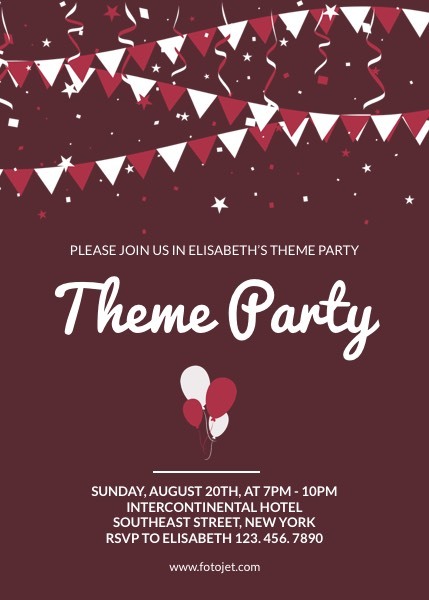 Edit the text and type in your own party details to make your own theme party invitations. You can even modify the background color and add more clipart images to it. The well-designed template makes it easy to create printable party invitations.